NOTE: In order to be inclusive we are moving into using the term StrongBodies rather than just StrongWomen. Same fabulous training we have always been teaching! Same online form; just a few term changes. Be an employee/staff with a nonprofit organization; independent personal trainers, consultants, and for-profit individuals/groups are not eligible to attend the training or to implement the Strong Bodies Strength Training Program. If you are not an employee/staff of a nonprofit BUT are working in partnership with a nonprofit organization to implement the program, you must submit a letter from the nonprofit organization as your sponsor. In addition, all leaders are required to sign a scope of use agreement regarding nonprofit use of the program only as well as an understanding that this is not a train-the-trainer program (you are being trained to implement programs and are not permitted to train new trainers). Be actively strength training. Being physically active in general is, of course, important. But, the expectation is that you are very familiar with lifting weights and are personally committed to and regularly practicing the behavior. This is a mandatory criteria for eligibility. Have a firm commitment to starting a program in your community. This training is to teach you how to lead a StrongWomen Strength Training class, and should not be attended simply for informational/personal purposes. Senior centers, hospital outpatient centers, cooperative extension services, offices on aging, assisted living facilities, independent retirement communities, community fitness centers with a large older population, places of worship, and other places where older adults convene. Below are the experience and qualifications that are optimal for becoming a Program Leader and running the program safely and effectively. Experience in providing exercise instruction in a fitness center, community setting, outpatient hospital setting, or as a personal trainer. Educational background in exercise or some aspect of public health. The appropriate educational background might include medicine, nursing, nutrition, exercise physiology, occupational/physical therapy, massage therapy, or community/public health. Certification by reputable health and fitness organization. Organizations include the National Strength and Conditioning Association (NSCA), the American College of Sports Medicine (ACSM), the American Council on Exercise (ACE), the American Senior Fitness Association, the International Association of Fitness Professionals (IDEA), and the Cooper Institute for Aerobics Research. We realize that this is not a complete list of organizations that certify individuals; the Program Leader may have a certification from another organization, and along with his/her education and experience, would be qualified to become a Program Leader. Note for Potential Sites: Identifying a Program Leader with the above three attributes will contribute greatly to the safety and efficacy of the Strong Bodies Strength Training Program. We recognize that some people who want to become Program Leaders may not have any formal education regarding health and fitness, and they may not possess a fitness-related certification. The decision of who becomes a Program Leader is up to you as a site manager, and the StrongWomen (Strong Bodies) Ambassador of the workshop that your interested leader attends. We recommended that the site have a room that is at least 200 square feet (ideally, 400 square feet) to run the program. The room should be well lit and be free of clutter. In addition, there should be sturdy, armless chairs available in the room. Preferably there should be a locked closet either in the room or nearby where the exercise equipment (dumbbells and ankles weights) can be stored between classes. Finally, the entire building should be safe for women of all ages to access. The parking lot (if applicable) should be well lit; there should be proper security of the facility; and the corridors and rest rooms should be safe and well lit. At the Strong Bodies Strength Training workshop, program leaders will be trained on the exercise program itself as well as how to effectively instruct and assist participants in learning the exercises. Additionally, the workshop will cover all topics found in the Toolkit such as screening, safety, and effective leadership. Program leaders will be given guidance on how to schedule their programs, discuss space and equipment needs, and strategize about issues such as transportation and gaining local support and funding. Following the workshop, sites/program leaders will then be required to initiate at least one program in their community. The StrongWomen Strong Bones, and StrongWomen Stay Young programs are taught together as the base level training. If you are interested in becoming certified as a StrongWomen StrongBodies leader, please click here. The Advanced StrongWomen program is an online training. Leaders must have been teaching StrongWomen for 6 months to complete this training. If you are interested in learning more about the Advanced training or being certified as an Advanced StrongWomen leader, please click here. StrongWomen Healthy Hearts is a cardiovascular disease prevention curriculum. It is an hour class; 30 mins of leader-directed discussion around eating for heart health and hands-on cooking activities followed by 30 minutes of walking. For more information on becoming a StrongWomen Healthy Hearts leader, click here. StrongWomen envisions a diverse community of women who are fit, strong, and healthy; in turn these empowered women become agents of change for their families, communities, and beyond. 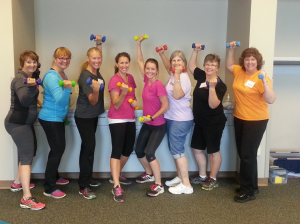 Join StrongWomen in Wisconsin. StrongWomen™ Wisconsin is part of the University of Wisconsin-Extension For Your Information Network. To be inclusive, we will be slowly moving to the term Strong Bodies; still the same fabulous training! June 1st Fox Valley Technical College in Appleton, WI-5/18/17 CLOSED, contact Sheila JaDoul @ 608-757-5694 to see if there is space still available. Developed by Dr. Miriam Nelson and Rebecca Seguin, MS, CSCS, both of the Center for Physical Activity and Nutrition at the Friedman School of Nutrition Science and Policy at Tufts University. The StrongWomen™ training programs are designed to help women become or stay fit, strong, and healthy. Dr. Nelson is author of the well-regarded Strong Women book series. Professionals and community leaders working or interested in the fields of public health, nutrition and exercise or wellness should attend. 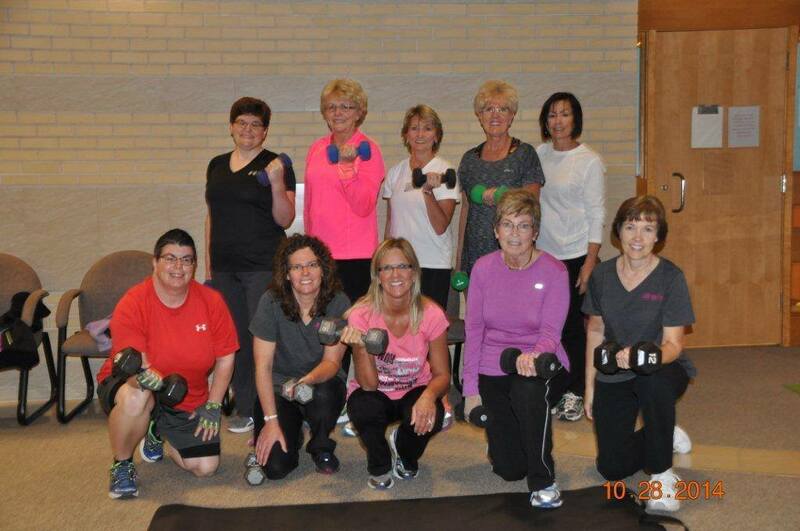 Participants should be in good physical health and be able to collaborate with local agencies or organizations to provide the Strong Bodies – StrongWomen™ program in their community. **If you have been teaching Strong Bones for at least 6 months, you are eligible to attend Advanced Strong Bones training. What are the Benefits of StrongWomen™ Training? Bring a Towel and an exercise mat. Registration Fee (Strong Bones): $250 includes training, manual, lunch, breaks and promotional materials and exercises for your own StrongWomen™ programs. Registration Deadline: Registration must be received TWO WEEKS prior to the training date at the latest. Enrollment is limited. Please register early to ensure your place. Cost: $30.00 for 12 Weeks. An effective program for people who are older or at risk of falling. Stepping On is a well-researched falls prevention program. The results were published in the Journal of the American Geriatrics Society. The Stepping On workshops meets for two hours a week for seven weeks. More then one-third of adults 65 or over fall each year. Among older adults falls are the leading cause of injury, hospital asmissions for trauma, and death. Many adults under age 65 are at risk of falling due to decreased leg strength, chronic conditions, and /or use of prescription medications. Who Can Best Learn From Stepping On? Is 65 years or over. Is under age 65, living with decreased strenght or chronic conditions. Has had a fall in the past year or is fearful of falling. Is living in a home or apartment;and is not suffering from dementia. Simple, fun balance & strenght training. The role vision plays in keeping your balance. How medications can contribute to falls. Ways to stay safe when out and about in the community. What to look for in safe footwear. Local guest experts also assist by providing information in exercise, vision, safety, and medications. Once participants have successfully completed the class series they are eligible to apply to be co-leaders of future classes. THE AGING UNIT OF IRON CO. The Living Well with Chronic Conditions Program (otherwise known as the Chronic Disease Self-Management Program [CDSMP]) is a workshop given 2 1/2 hours, once a week, for 6 weeks, in community settings, such as senior centers, churches, libraries, and hospitals. People with different chronic health problems attend together. Workshops are facilitated by 2 trained leaders, one or both of whom are non-health professionals with a chronic condition themselves. It is the process in which the program is taught that makes it effective. Classes are highly participative, where mutual support and success build the participants' confidence in their ability to manage their health and maintain active and fulfilling lives. A Program For People With Diabetes And Their Families. NOW is the time to take charge of your diabetes. A program for people with diabetes and their family members. A series of six classes. Classes include diabetes education, nutrition, recipe demonstrations, and samples of each recipe prepared. SPONSORED BY THE IRON COUNTY VINTAGE/RELIC RIDERS, KIMBALL HOMEMAKERS, IRON COUNTY HEALTH DEPT., UW-EXTENSION, ASPRIUS GRAND VIEW, MARSHFIELD CLINIC AND THE WISCONSIN LIONS FOUNDATION.